100 things to do in 1000 days; #89: Grow a plant – do a picture a day and make a stop motion film. Alright, let’s make this quick. So please excuse the crappiness of the following. 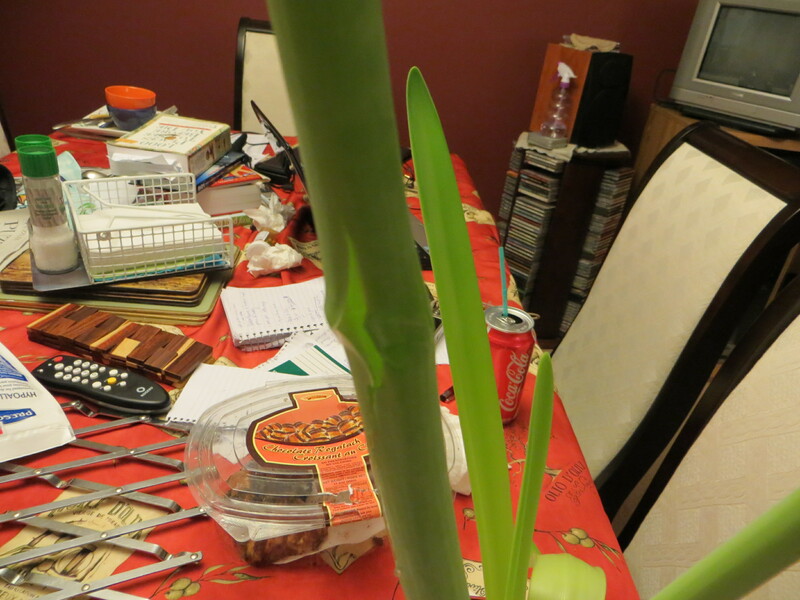 When the thing flowered, I thought it would make a great present for my mom, but on my way over to gifting her with it, the stem snapped. Because I kill things. Fortunately, we had some twist ties and a stick available, so we made it an emergency splint, and it’s now happily living alongside mom’s other plants. They seem to have overlooked the disfigurement, and accepted it as one of their own. 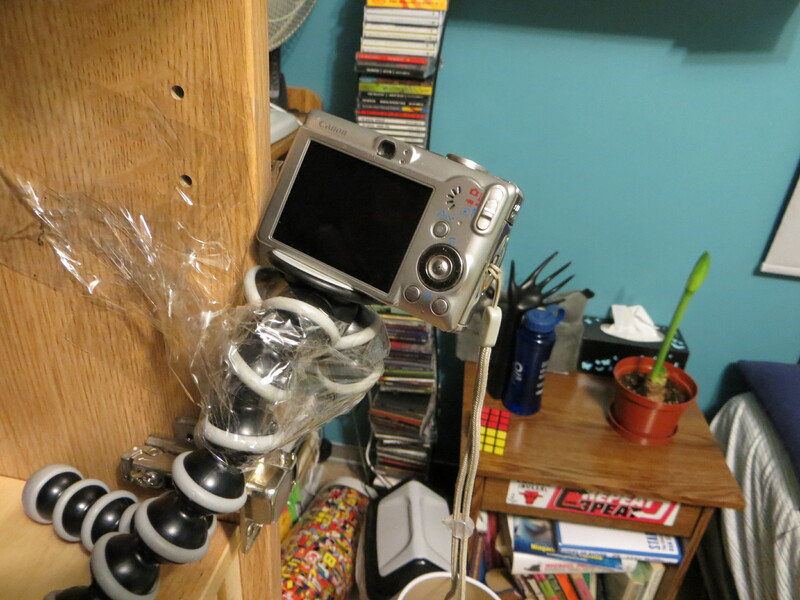 100 things to do in 1000 days IN PROGRESS; #89: Grow a plant – do a picture a day and make a stop motion film. 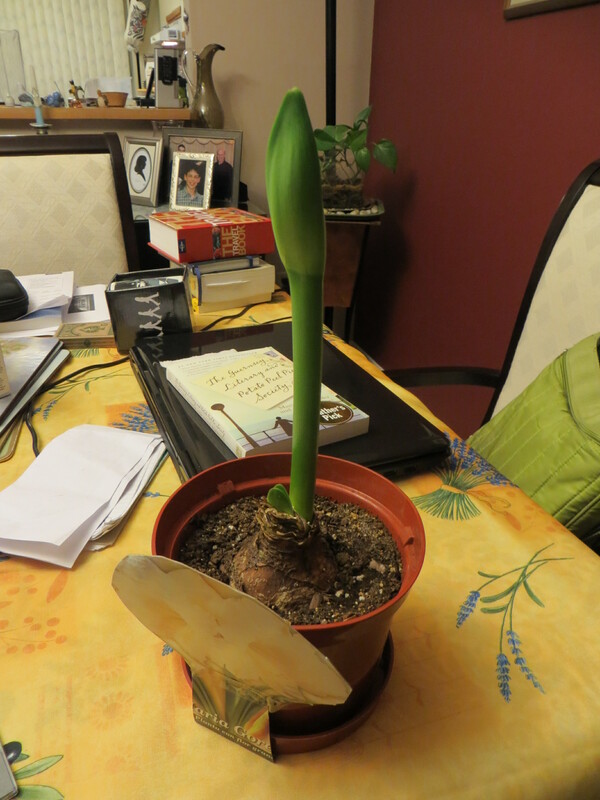 I bought a plant in the metro on a whim today, in order to knock off number 89 on my List. 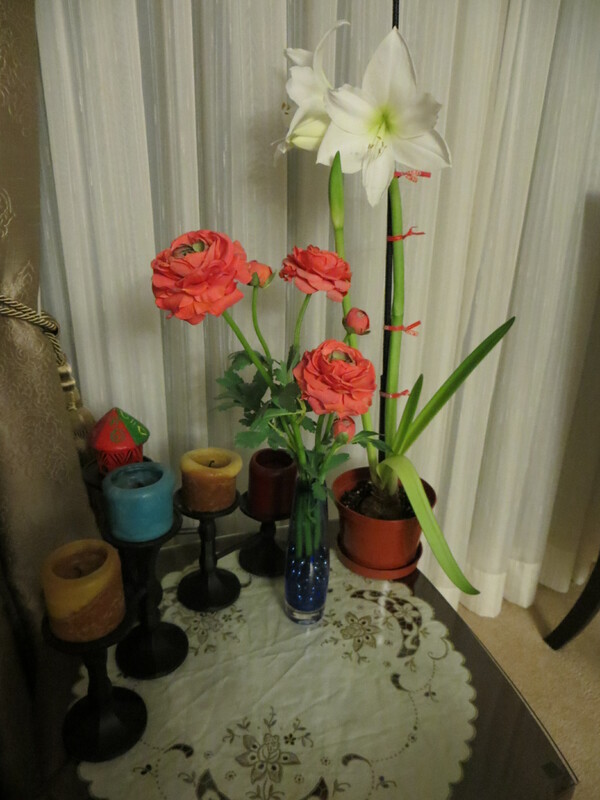 Unfortunately, it seems the bulb I randomly picked out is an amaryllis, which is supposedly incredibly difficult to grow. Goody. Let’s see how this goes. Also, FYI, I’m replacing Ashes to Ashes with Slings and Arrows, because I can’t find Ashes to Ashes on Netflix or iTunes, and Slings and Arrows is amazing. Deal. With. That.